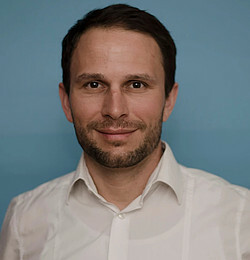 Philipp Sinn, Founder & CEO SINN Power. Abstract: In this talk we will present the SINN Power approach for generating energy from waves. The SINN power approach is based on the design of an energy conventer that is both modular and scalable, thus reducing the deployment and replacement cost, as well as facilitating its transfer and installation. We will present the challenges that we faced during the installation of a prototype at the harbor of Heraklion, our main findings and advancements, as well as the current status of the project. Short CV: Dr Philipp Sinn studied Industrial Engineering at King's College in London and then Mechanical Engineering at the Technical University of Munich. Subsequently, he worked for eight years in the P3 engineering company as a consultant. Afterwards he did his doctorate externally and founded the company SINN Power based on the concept that he developed in his thesis.